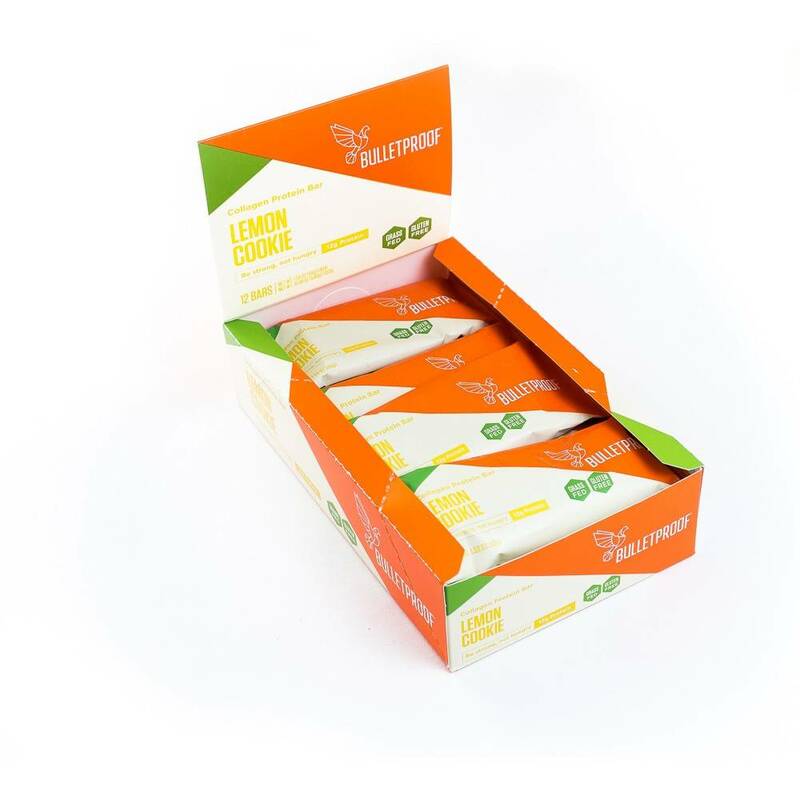 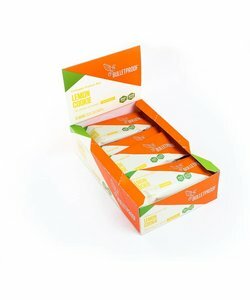 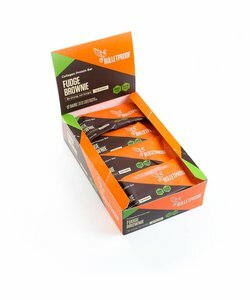 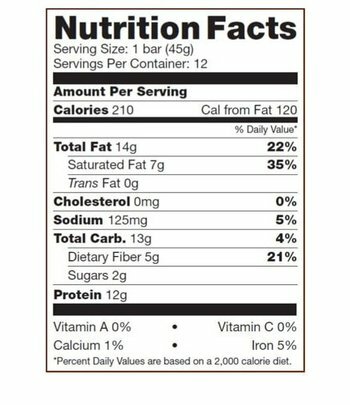 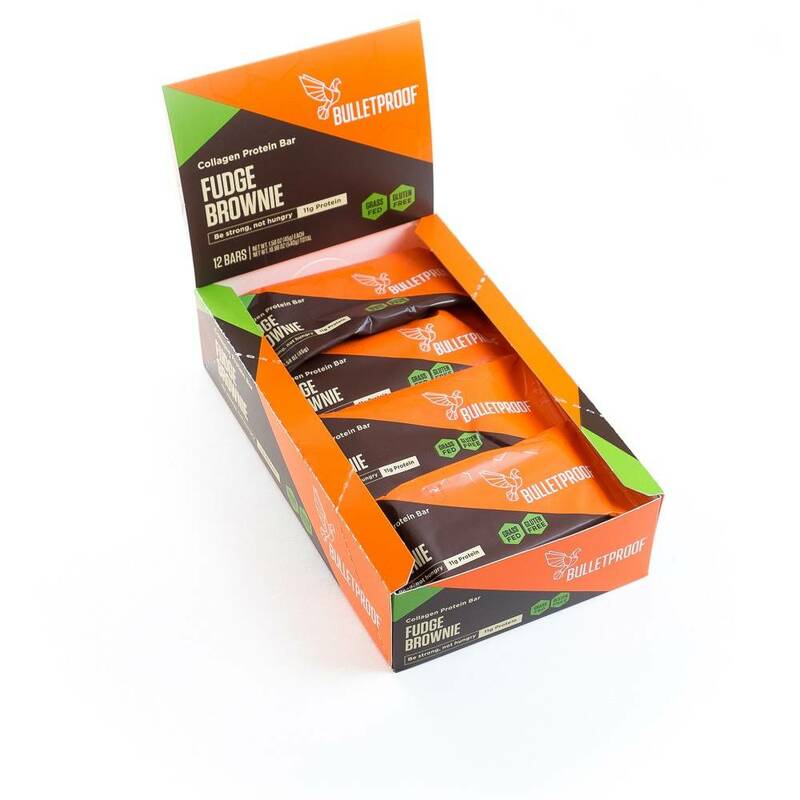 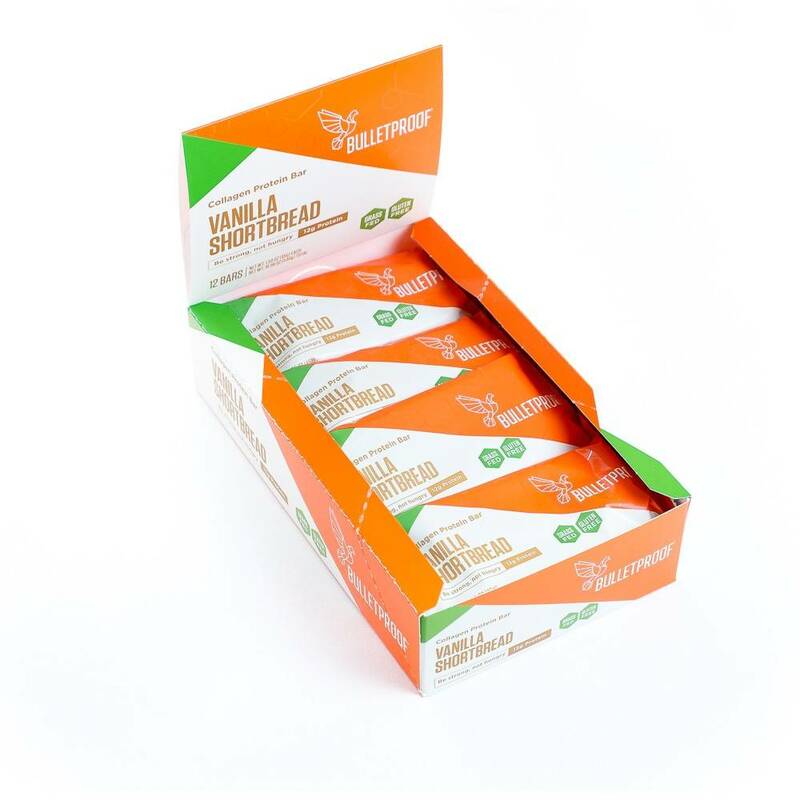 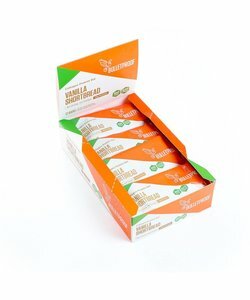 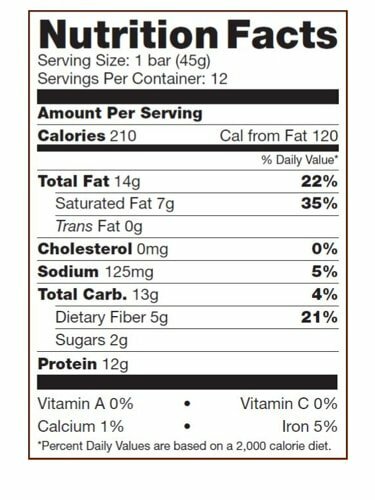 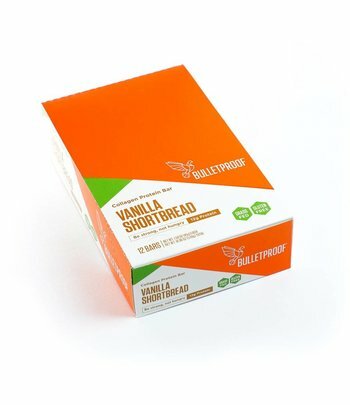 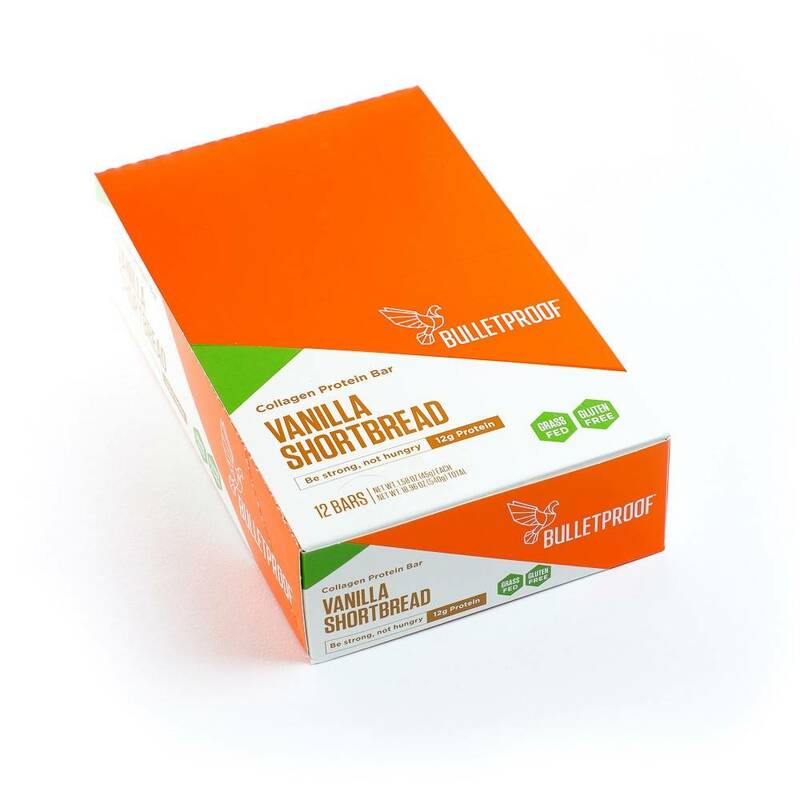 1 box of 12 Bulletproof Vanilla Shortbread Collagen Protein Bars. 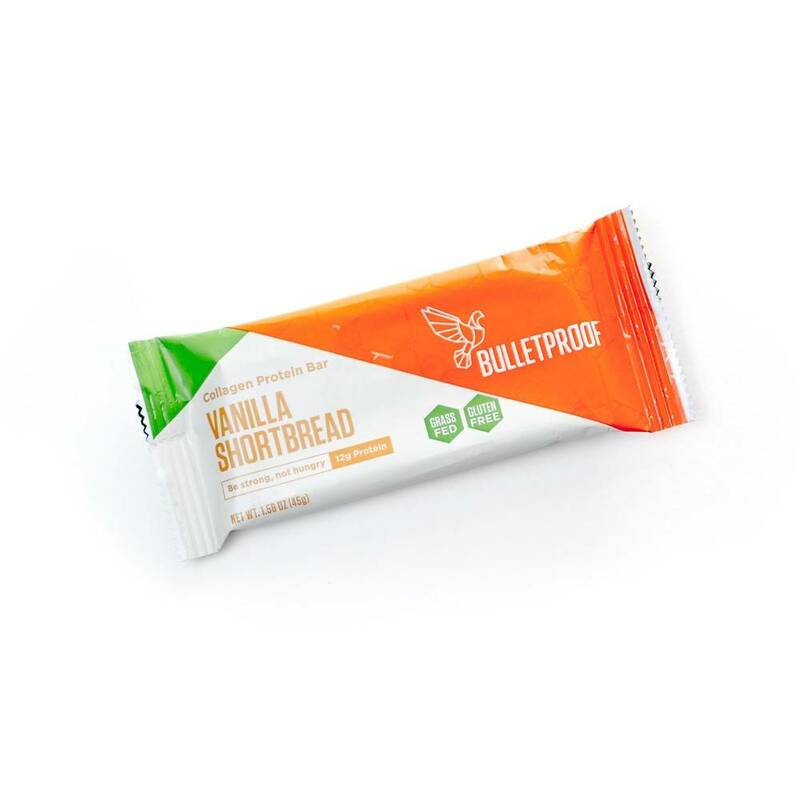 Crafted with Bulletproof Collagen and Brain Octane to support muscle growth. Ingredients: Organic cashew butter, Bulletproof Collagen Protein, chicory root fiber, Bulletproof XCT Oil Powder (Caprylic and Capric Acid Triglycerides sourced from coconut and/or palm kernel oil), organic cashews, Bulletproof Brain Octane (caprylic and capric acid triglycerides from highly refined coconut and/or palm kernel oil, tapioca dextrin, tapioca), organic coconut oil, lab-tested vanilla beans, sea salt, stevia.